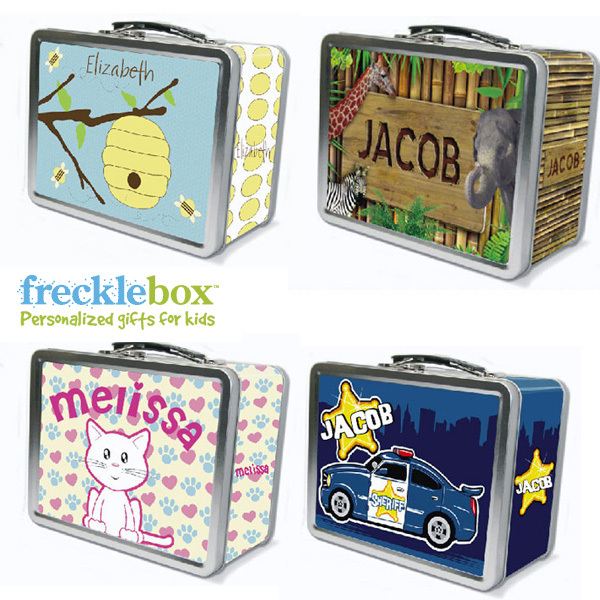 Frecklebox is a great company that offers personalization on a ton of products. From books to party favors, parents can add their child’s name to just about anything. Just in time for back to school we had our son’s name added to one of their classic looking metal lunchboxes. Our original plan was to use this cool box for snacks at school, but my son had different ideas. He has been using it to tote around all of his worldly possessions that previously were holed up in the corner of his bed for safekeeping. The box’s generous size allows him to carry around his Backyardigan friend Tyrone, a few of his transformers AND a snack pack to keep me happy.